The reimagined game of the Japanese exclusive tactical RPG introduces several content which not only limits to software-related, but physical as well. 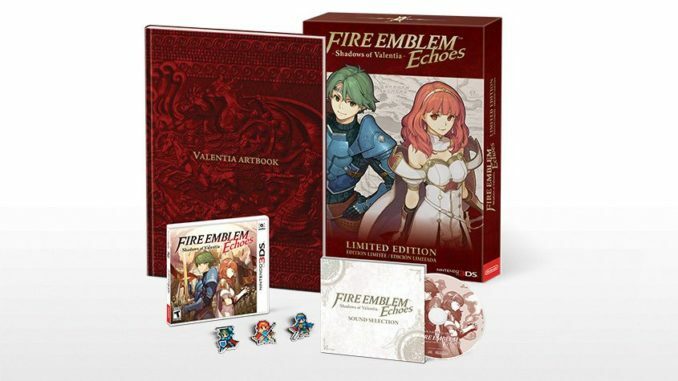 The reimagined game of the Japanese exclusive tactical RPG, Fire Emblem Gaiden, introduces several content which not only limits to software or “virtual” related which the DLC covers, but physical content through the FE Echoes Limited Edition Bundles! Counting the contents alone, it seems that TCG cards equate to the English releases’ Pin Set at first glance, a staple collector’s must-have. However Japan included the HD Movie Collection to the mix for those who have availed of the Complete Version. Making the Japanese Bundle (Complete Version) take the lead as copy with the highest number of contents. For the English releases of the game, the UK Limited Edition Bundle offers more as it includes 2 Amiibos. Keep in mind that Region lock forbids any player of booting the game on a console with a different region, thus US players must purchase these on their own. However both English release do not come with the DLC promo codes that the Japanese bundles have. English FE fans could however avail of the Season Pass (sold separately) to purchase the rest of the content or opt to choose which by buying the DLC Packs individually.